Big Bend State Park is a 275,000-acre preserve managed by the Texas Parks and Wildlife Department in Brewster and Presidio Counties. Much of The Park is high desert uplands and peaks that average over average over 4000 feet. The predominantly igneous rock tells the tale of violent volcanic activity between 15 and 30 million years ago. 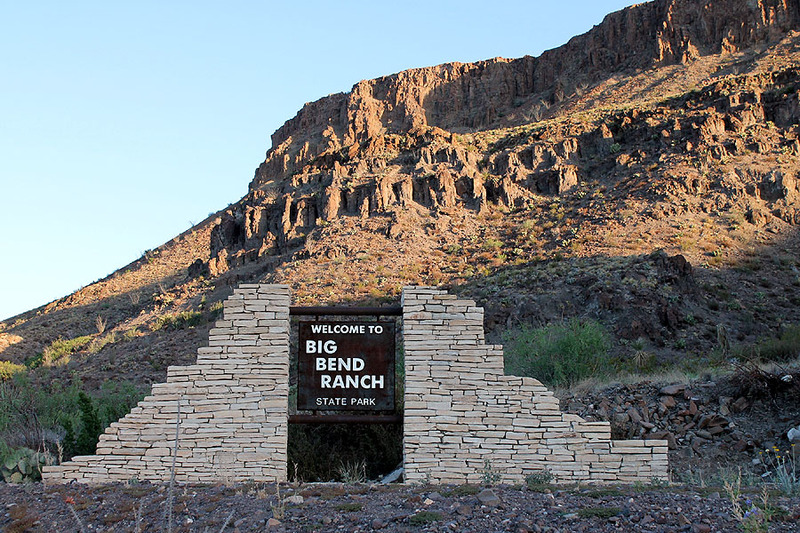 The relative abundance of ground water, the nature of the geology, and the primitive nature of the BBRSP facilities offer an entirely different experience than that found in Big Bend National Park. 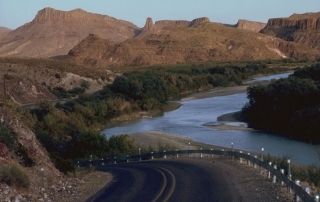 Highway 170 west of Lajitas, called El Camino del Rio, or The River Road, parallels the river and crosses the southern part of the State park. National Geographic once called this stretch of highway one of the prettiest in America. Except for FM 170, all the roads in the Ranch are unpaved, backcountry ranch roads. There is no gas or service once you leave the highway. Lodging is available within BBRSP. There is a bunkhouse that sleeps up to 30 people with kitchen facilities and a ranch house with kitchen and three private bedrooms. In addition, there are numerous backcountry campsites scattered throughout The Ranch and a shower facility at Ranch HQ. Persons entering the Ranch pay $6 per person which includes a $3 entry fee and a $3 activity fee. The entry fee is waived for Texas Conservation Passport holders, but they still pay the activity fee. Camping is included in the activity fee.